MK Avi Dichter welcomes Netanyahu-Abbas meeting, but says that if the PA is imposing preconditions, it means it's not serious about talking. 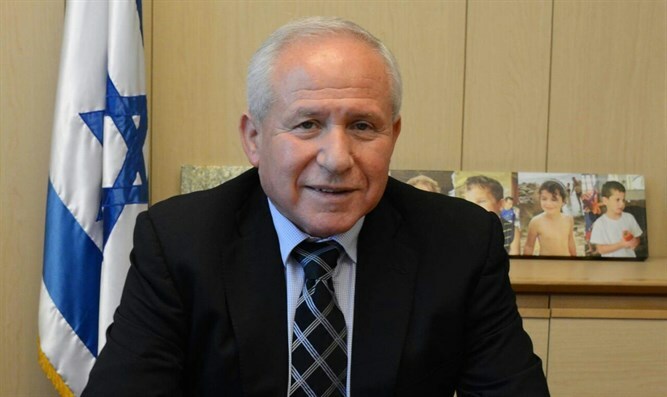 MK Avi Dichter (Likud), chairman of the Knesset’s Foreign Affairs and Defense Committee, welcomed on Thursday reports that Prime Minister Binyamin Netanyahu and Palestinian Authority (PA) chairman Mahmoud Abbas would meet soon in Moscow. At the same time, Dichter stressed that the preconditions imposed by the PA on the resumption of talks – namely a construction freeze in Judea and Samaria and the release of terrorists – are unacceptable. His comments come following an announcement from the Russian Foreign Ministry earlier on Thursday that Netanyahu and Abbas had agreed to meet in Moscow to renew final status talks. Despite the announcement, however, no date has been set for a meeting between the two leaders, and the apparent readiness of the two has yet to produce a firm commitment by either to restart negotiations. In his remarks, Dichter also commented on this week’s report on Channel 1 News which said that Abbas had in the past served as a KGB agent. "Abu Mazen studied at a university in the Soviet Union in the 1980s. You have to remember that in the 1980s in the Soviet Union, anyone who wanted to go to Moscow and to university, especially if he was a Palestinian, it had some kind of price,” he said. “In Arabic they say, ‘Nothing is free except blindness and deafness’. In Moscow one does not study at a university for free. On the other hand we need to be careful; I have seen reports as though he had a codename. That does not necessarily mean he was an agent. There are codenames given for the purpose of procedure and even if he provides information it does not mean he's an agent,” added Dichter. He also rejected the PA’s claims that Israel's political leadership was behind the publication that Abbas was an agent for the KGB.